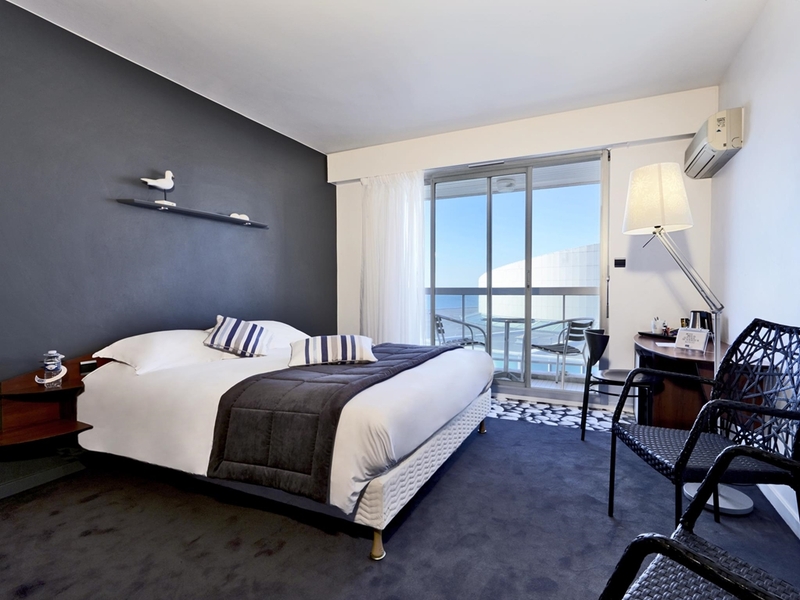 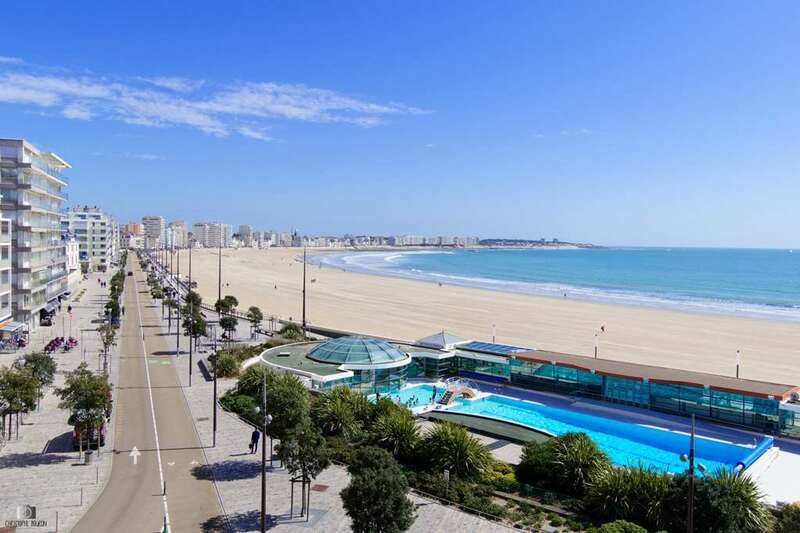 This 3-star hotel is superbly located facing the Atlantic Ocean and the immense Sables d’Olonne beach. 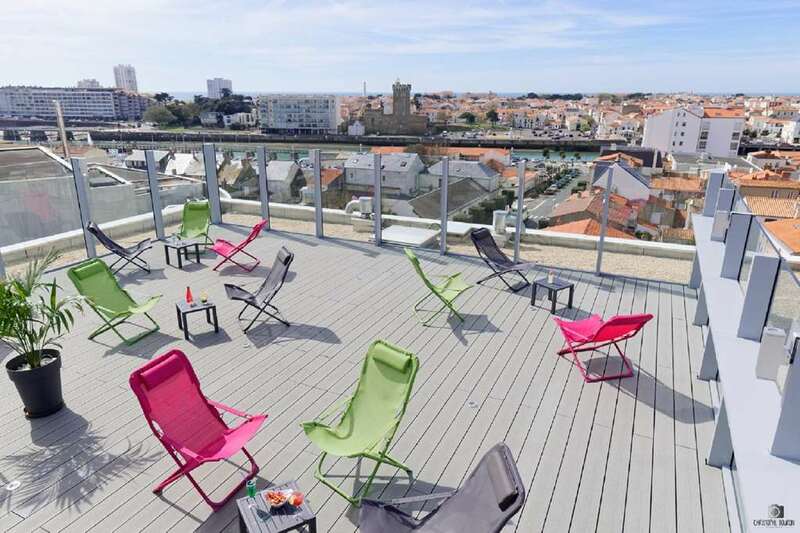 We are also a stone’s throw from lovely pedestrian shopping streets and the restaurants at the port, the departure point for the famous Vendée Globe yacht race. 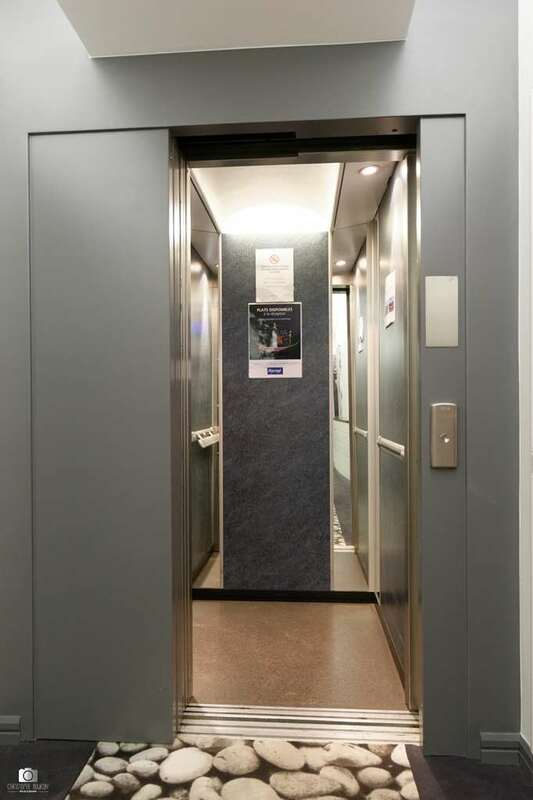 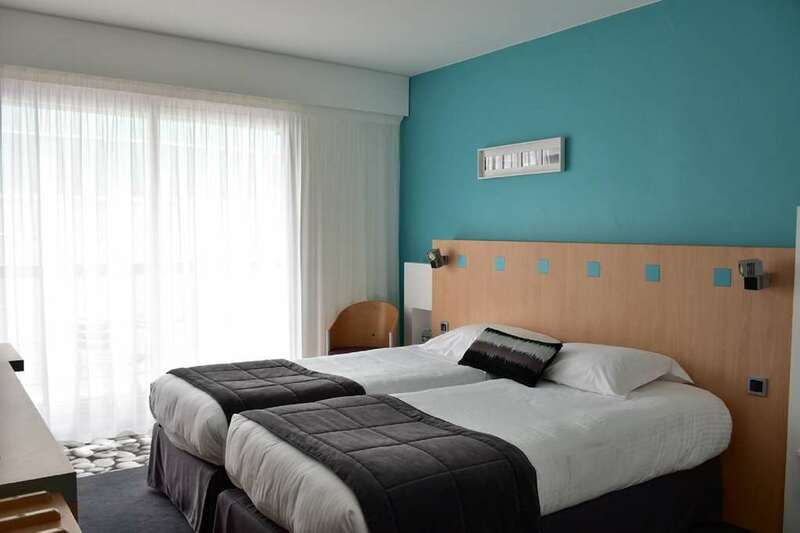 We offer a warm welcome in a contemporary environment, with easy access from the A 83 and A 87 motorways. 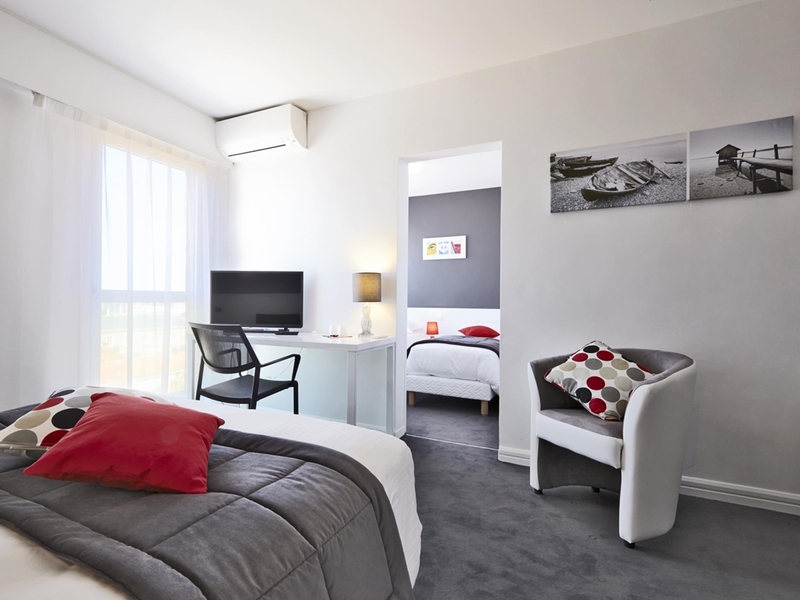 Our 42 spacious, comfortable rooms come with all the amenities you require for a business or leisure stay. 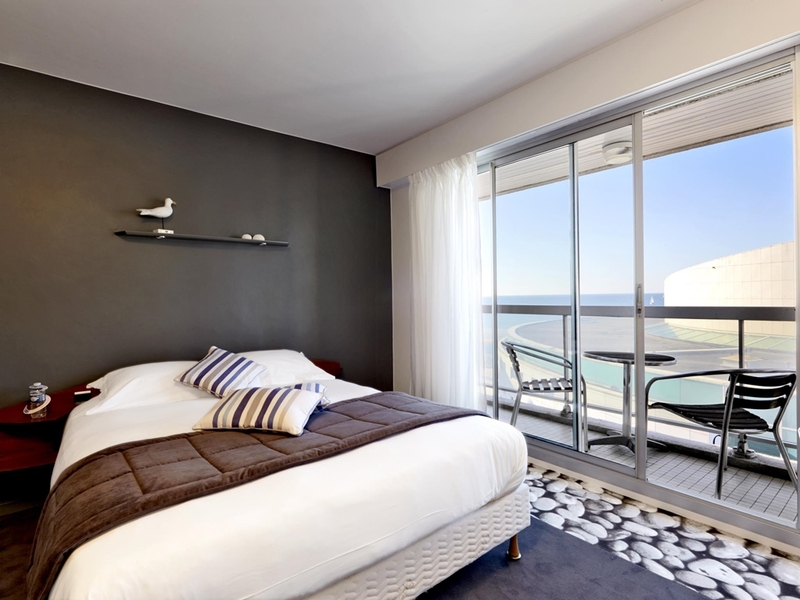 The rooms have an uncluttered, contemporary design with plenty of light, and some have balconies with an ocean view. 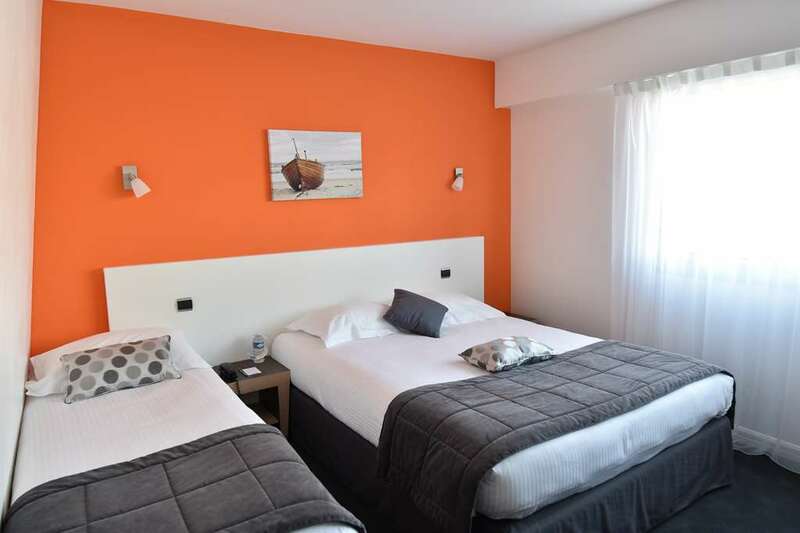 Each room has a large double bed and quality amenities, including free wireless Internet access, flat-screen TV with cable TV channels and Canal Plus, tea- and coffee-making facilities, mini bar, telephone and a desk. 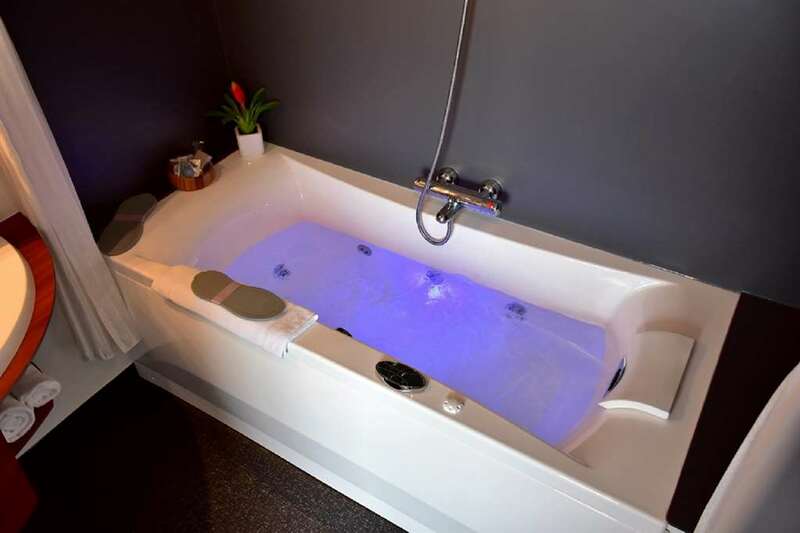 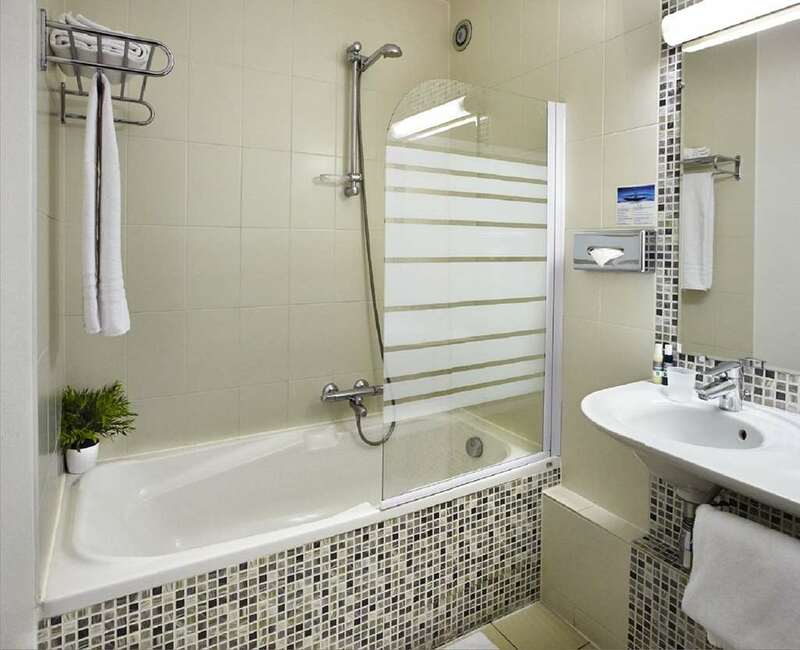 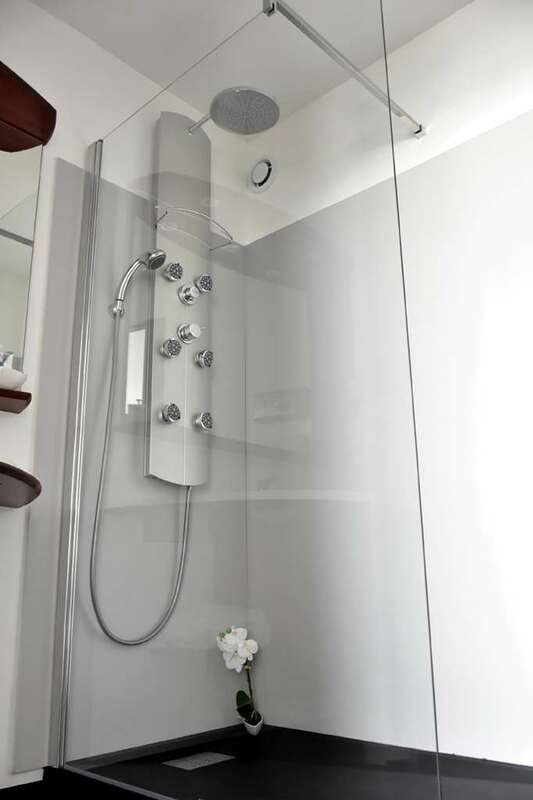 En suite bathrooms have bathtubs, some with whirlpool, and a separate WC. 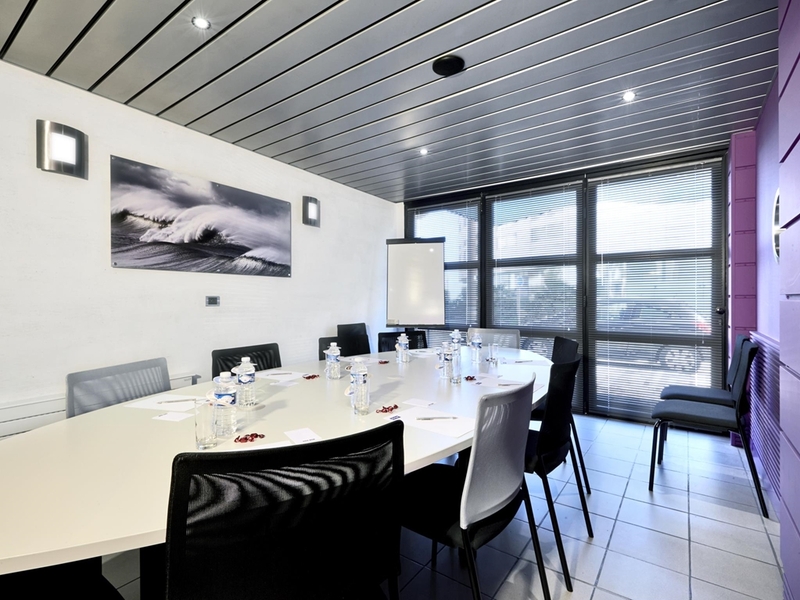 Our hotel is also opposite Les Atlantes Congress Centre, ideal for business travellers. 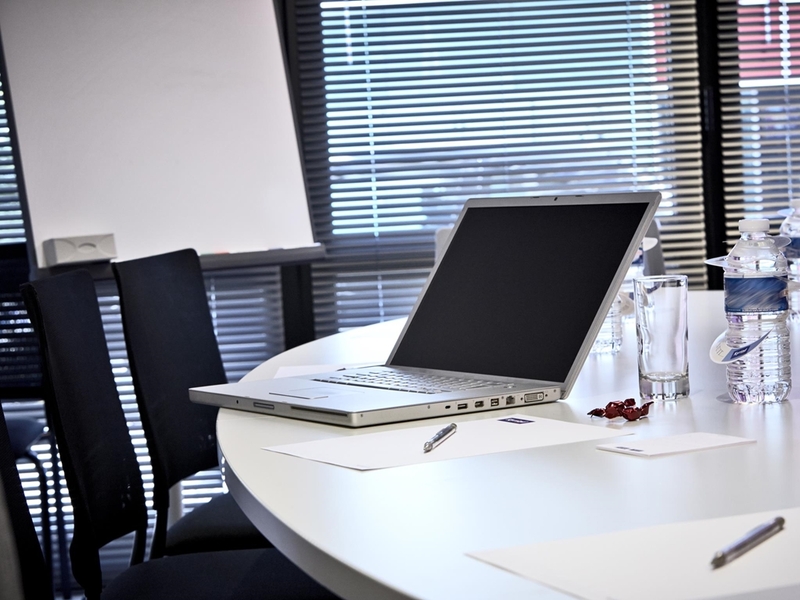 Should you require it, we can offer a light, well-equipped, air-conditioned meeting room for up to 15 people. 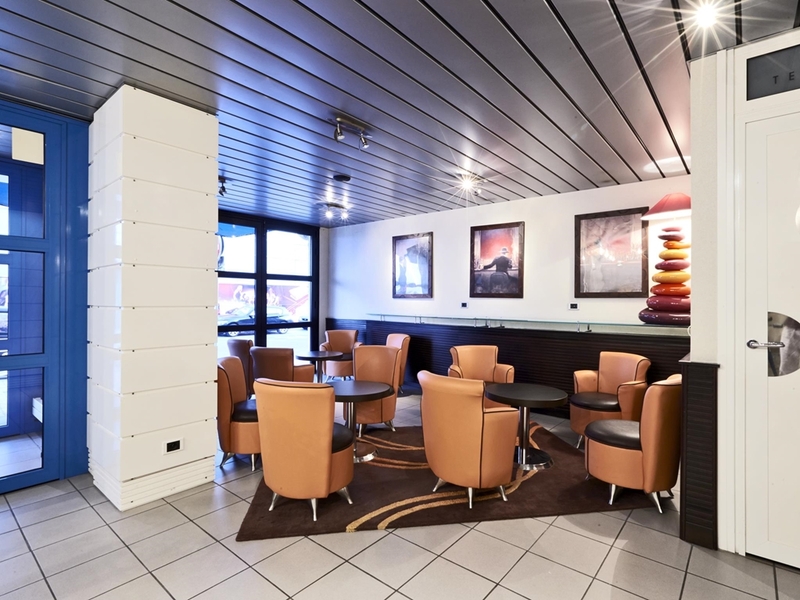 Measuring 25 m2, it features a large oval table, free Wi Fi, a television that can be connected to a PC, and a paperboard. 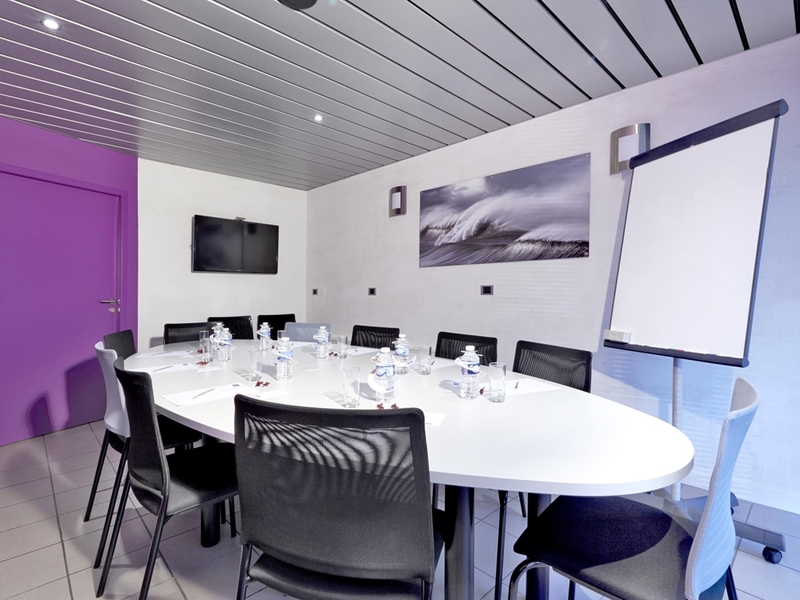 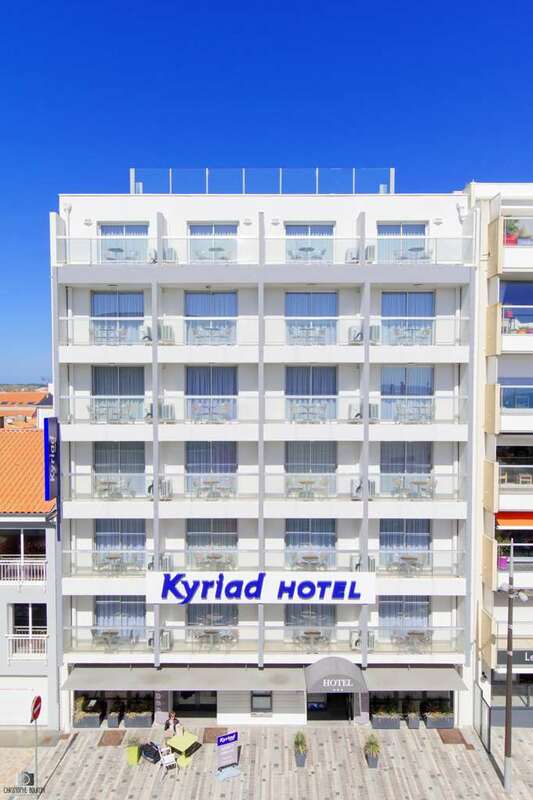 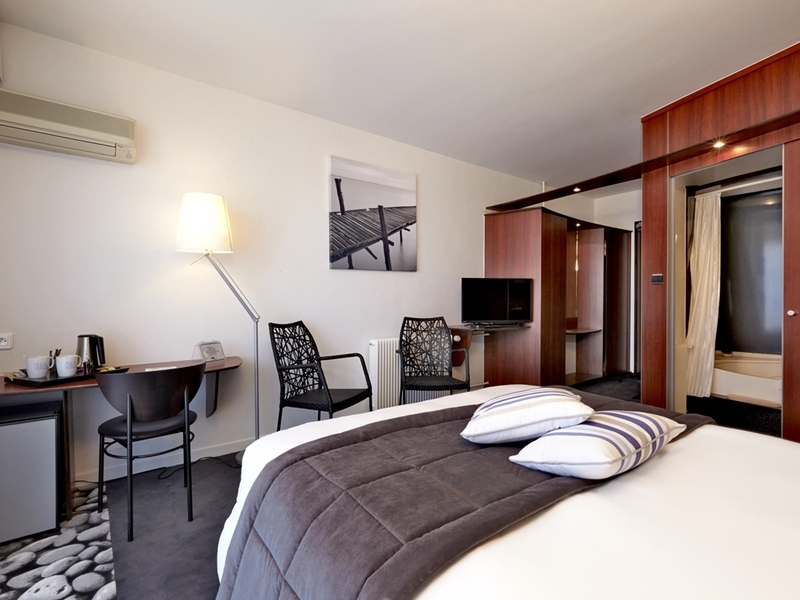 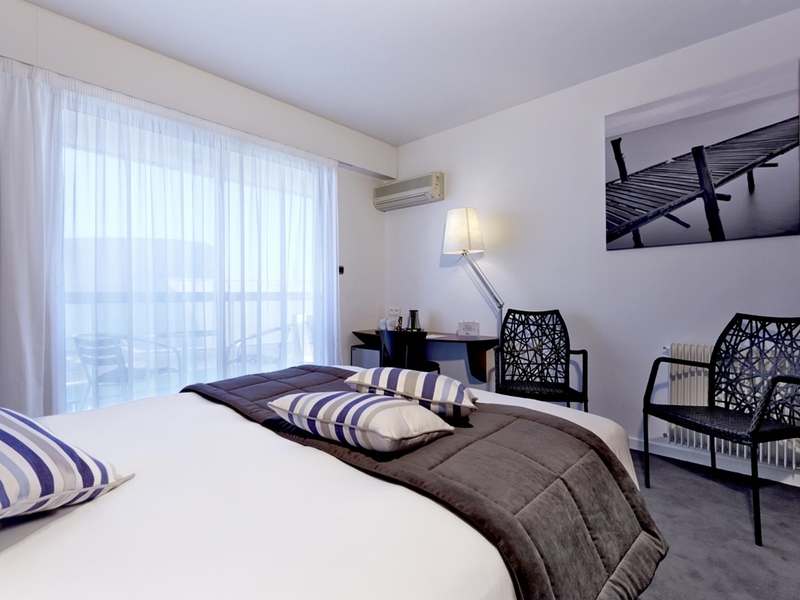 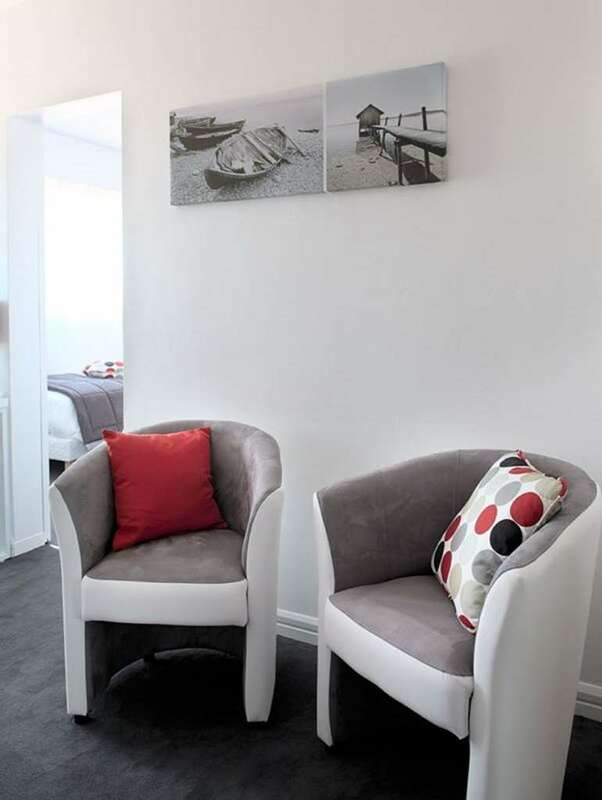 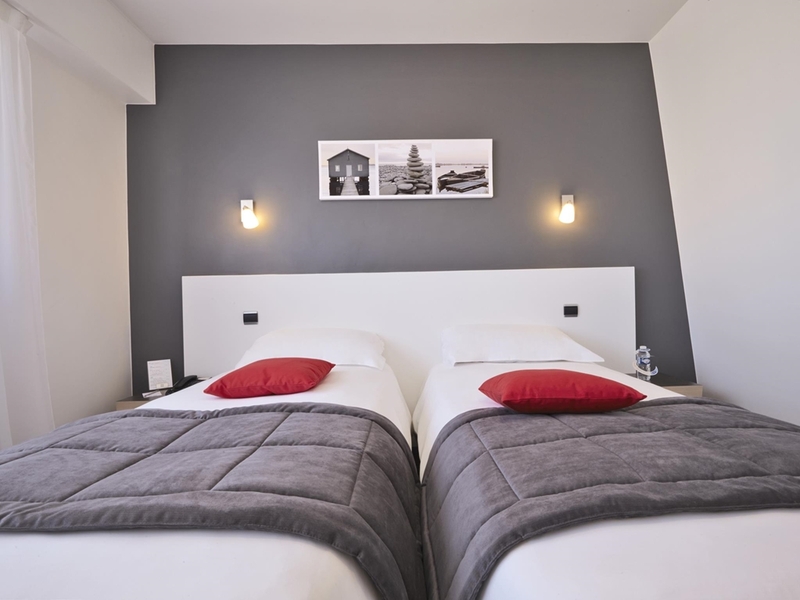 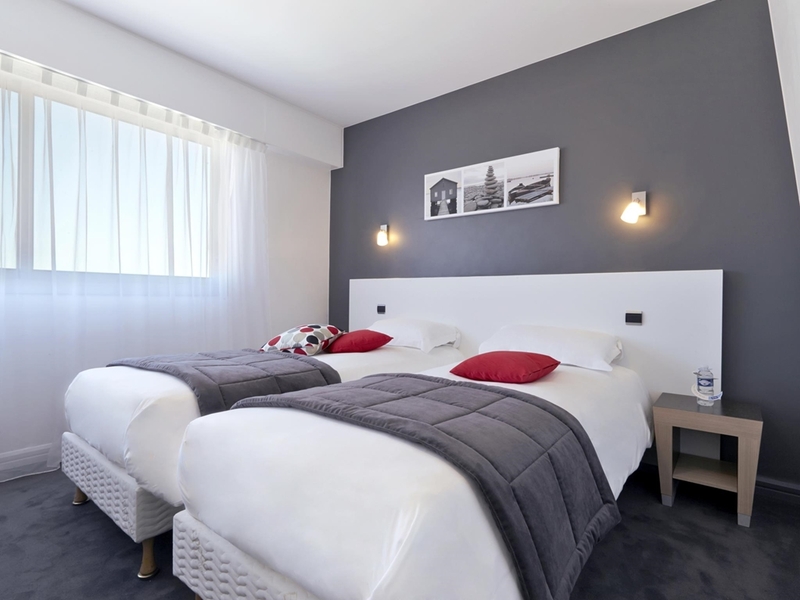 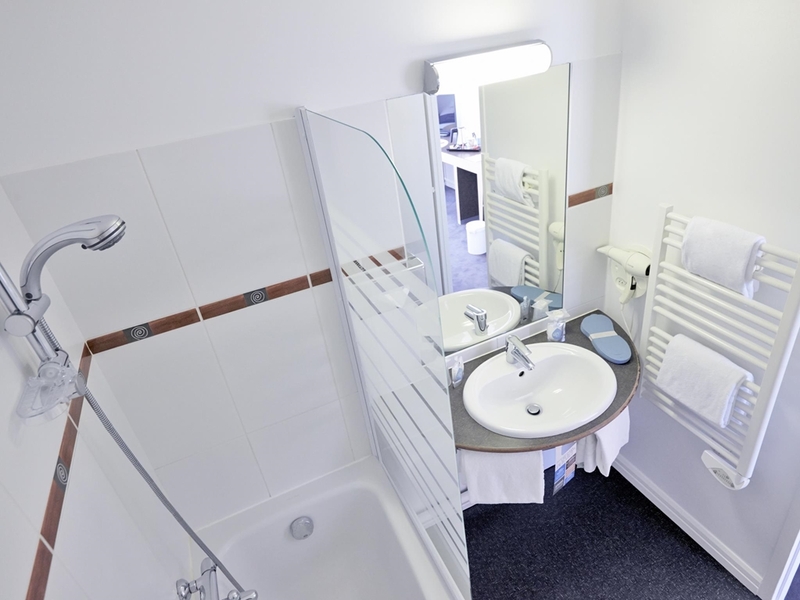 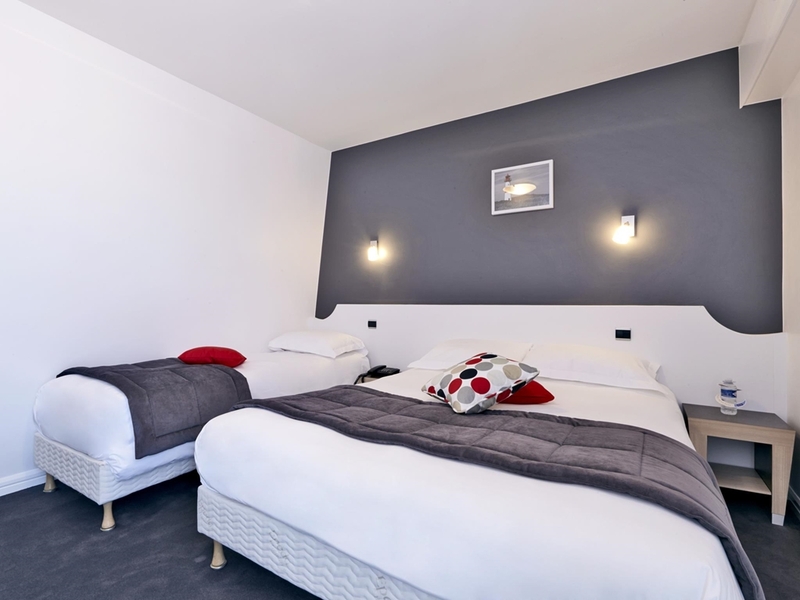 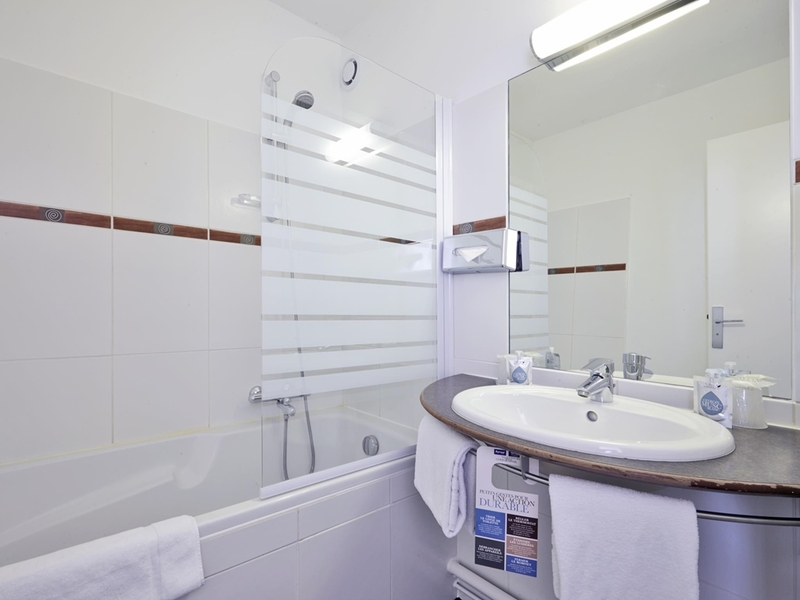 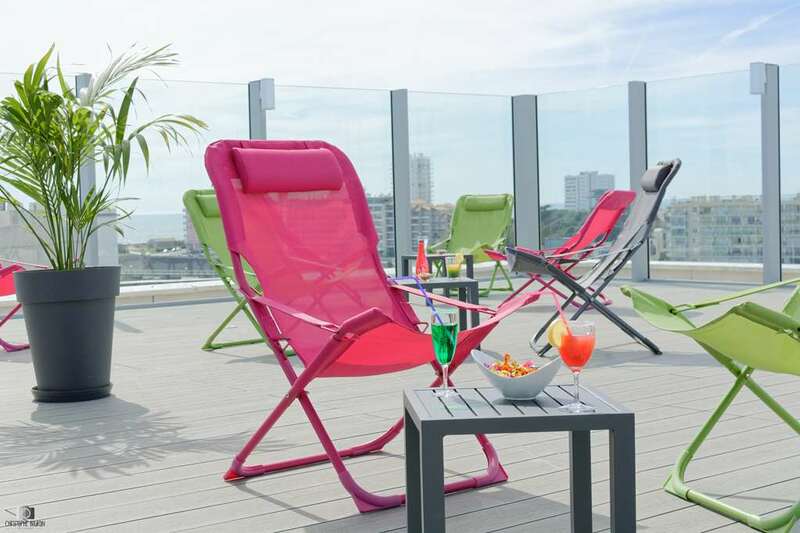 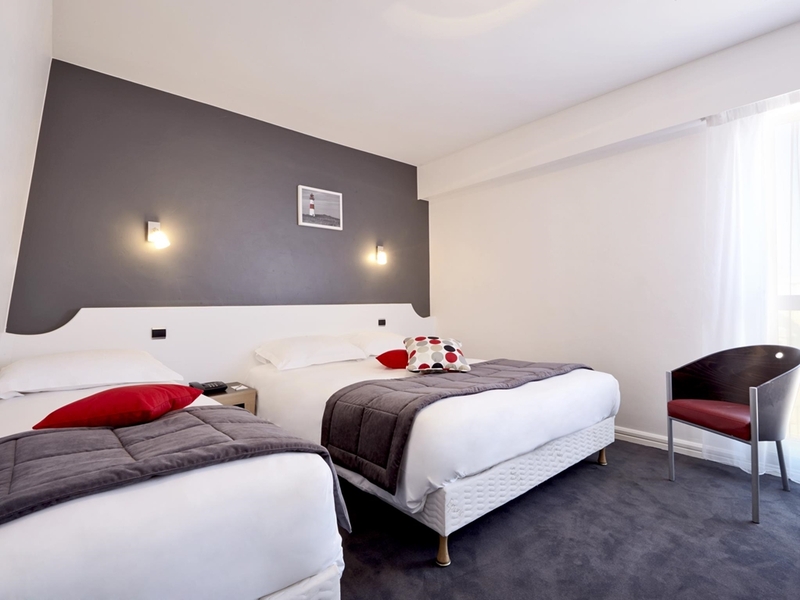 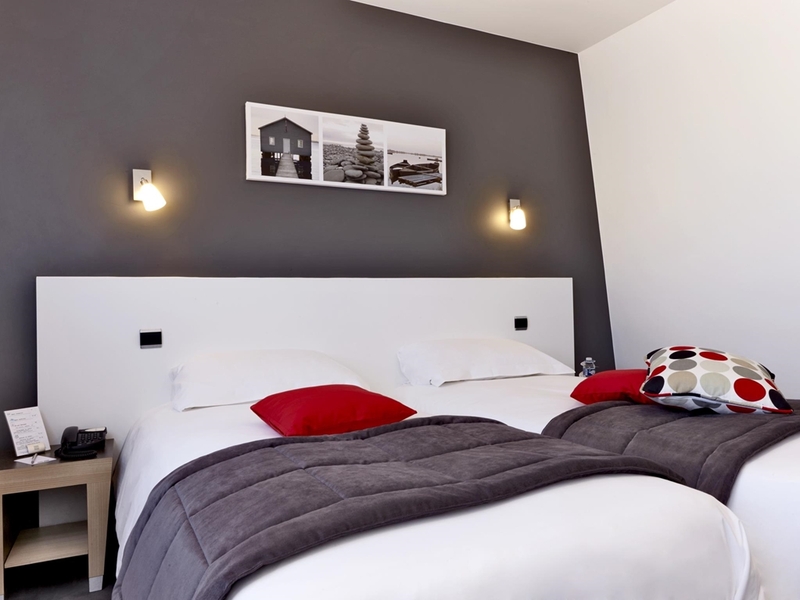 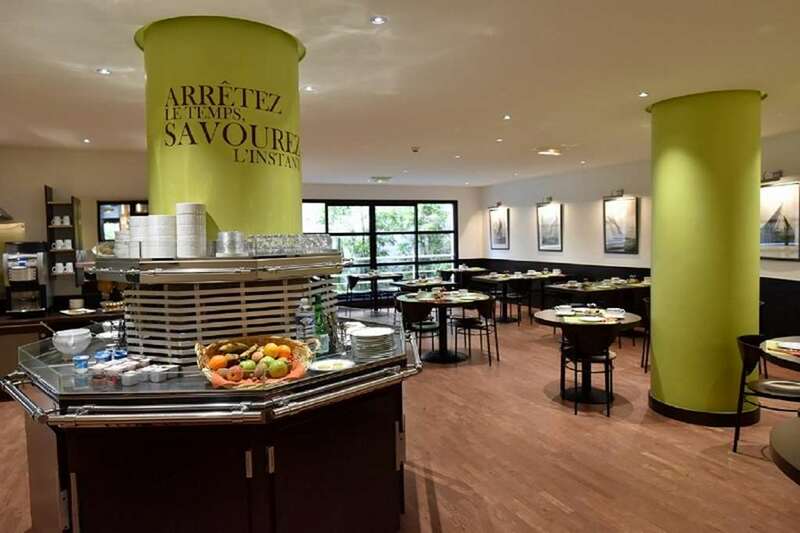 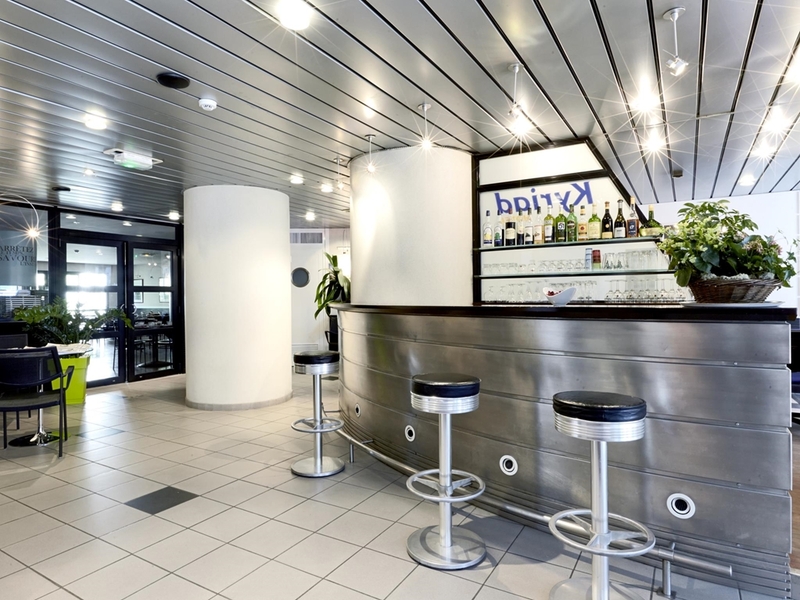 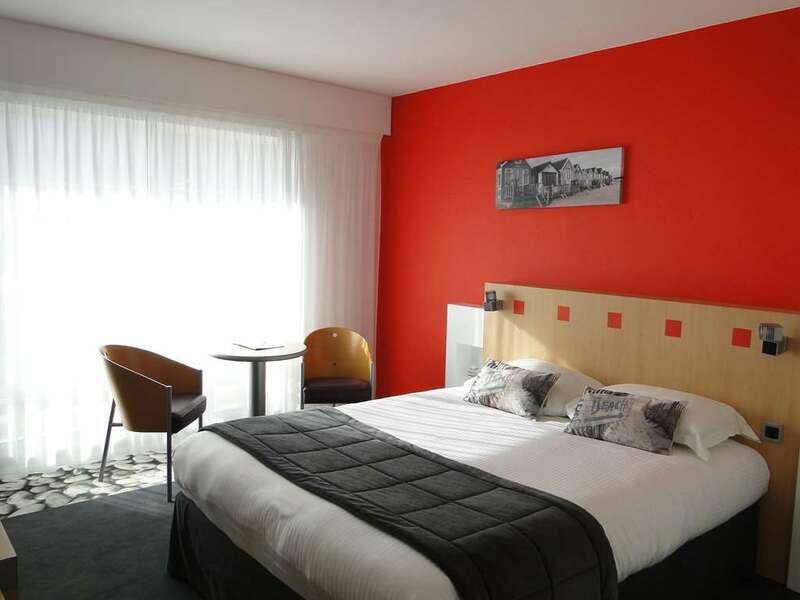 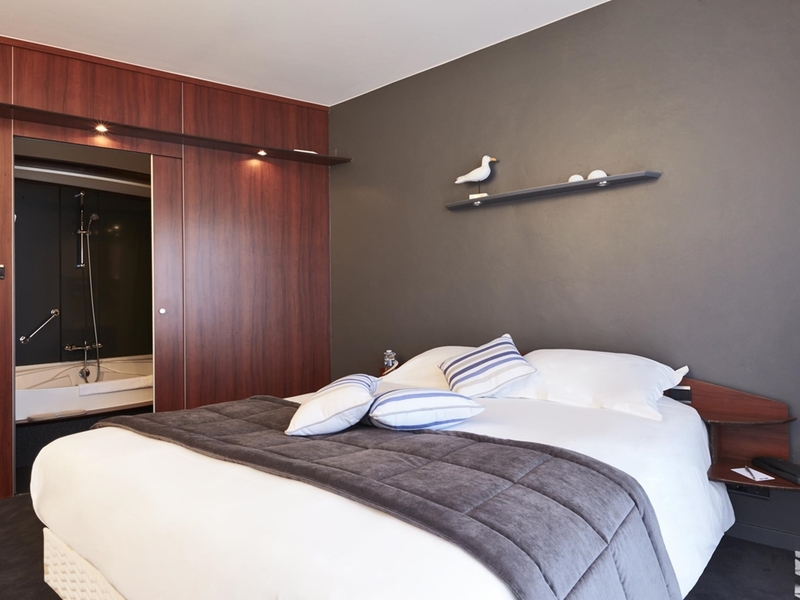 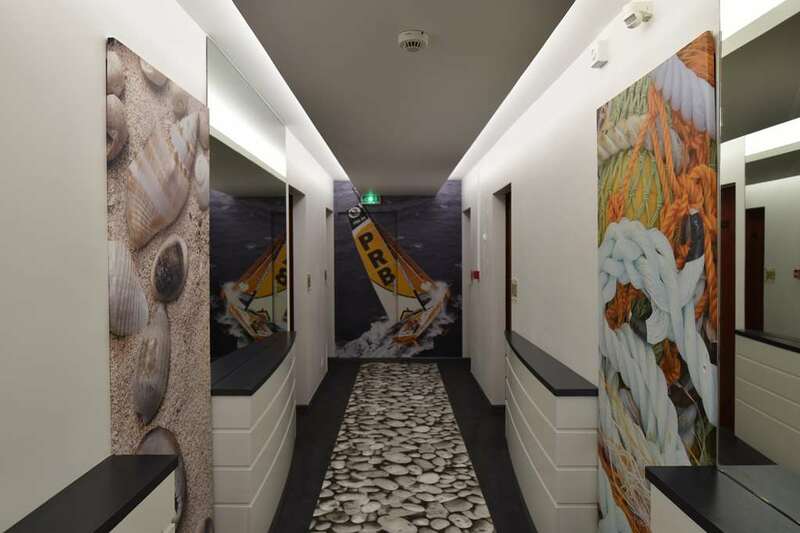 If you are looking for an affordable hotel in Les Sables D'olonne for an enjoyable stay, choose the Kyriad Les Sables D'Olonne Plage - Centre des Congrès Hotel. 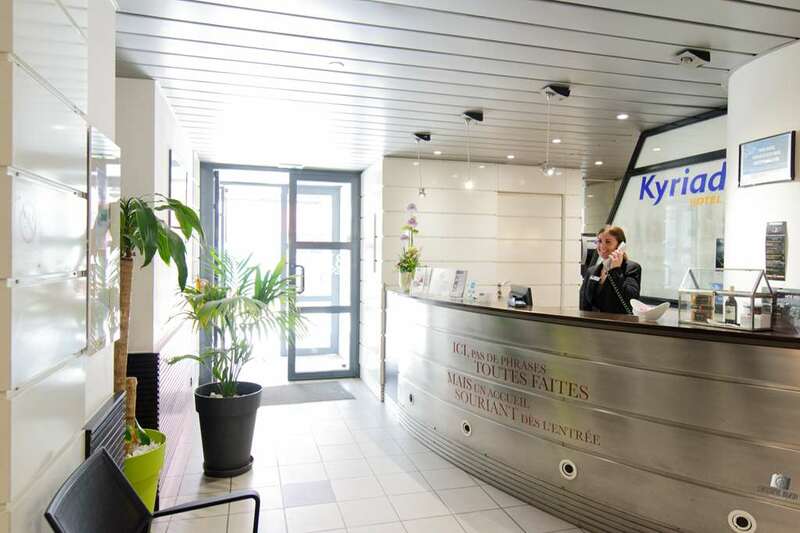 Discover all of our Kyriad Hotels in Les Sables D'olonne.